Anyone who thinks Scottish reeling is a dying tradition would think again had they witnessed last year’s Perth Ball. 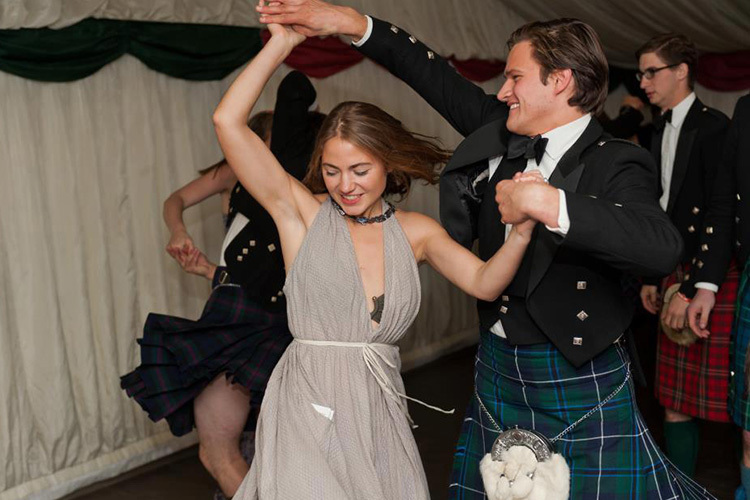 Guests poured into the magnificent Fingask Castle Pavilion, dressed in their finery, and danced the night away. Glamorous twenty-somethings whirled and twirled their way through the Dance Card at breath-taking speed, while older generations took things a little more sedately but with no less enthusiasm! A hearty cooked breakfast at 1 am to recharge the batteries and everyone was off again, dancing through the wee small hours until the Simon Howie Dance Band was finally allowed to stop playing at 3.30 am. The event was covered by Tatler (see Tatler Bystander) and Scottish Field. Check out the Gallery for some great photos of the night or photographer Zygmunt Sikorski-Mazur‘s website. This year we hope to welcome even more people to the Ball – the perfect way to round off the Summer!